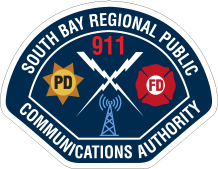 In March of 2017, the City of Culver City moved all of its emergency dispatching services to the South Bay Regional Communications Authority (RCC). As of the end of August 2018, the RCC has handled 95,662 incidents. 86,372 Police and 9,290 Fire related. As a result of the transition to the RCC, emergency response times have been reduced and 911 calls are being answered more quickly.